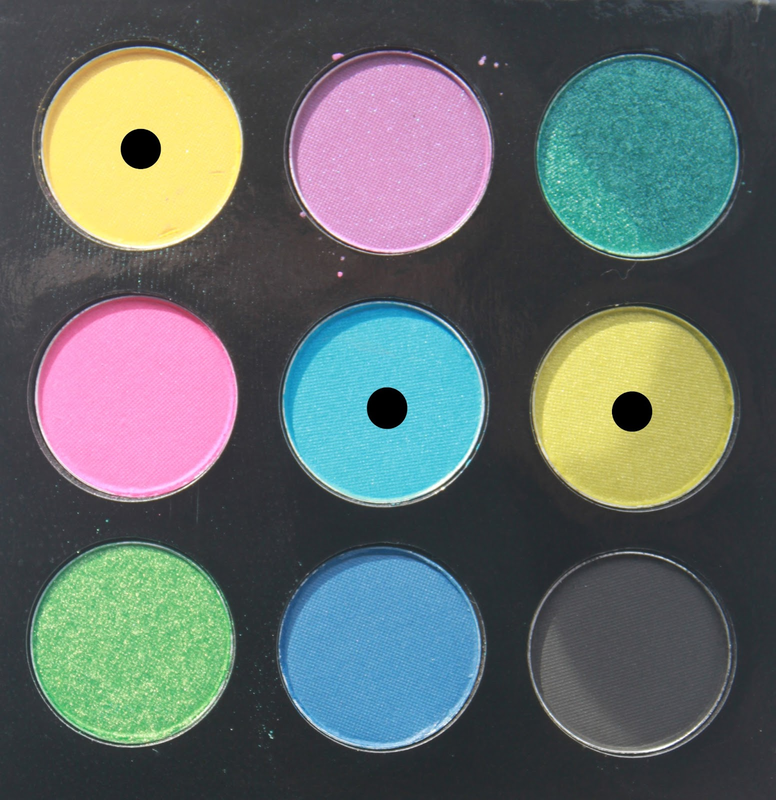 I recently reviewed the Collection 2000 Poptastic Palette which I will be using for this look! 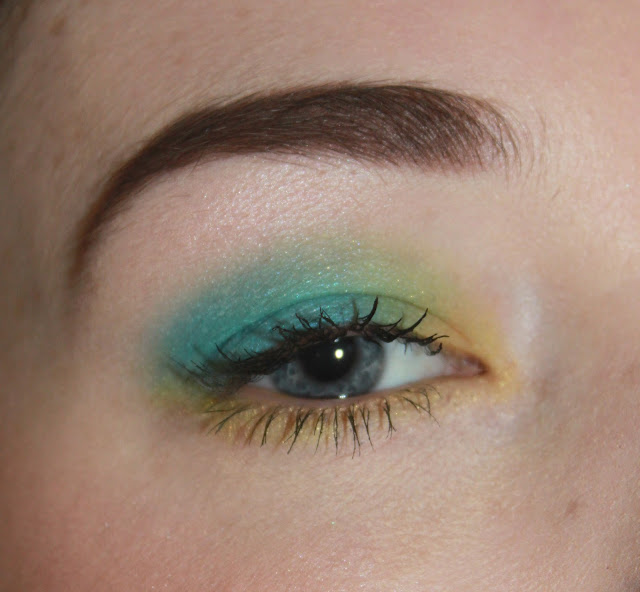 I wanted to create a simple and affordable bright spring look. I used the blue on mostly all of the eye lid, and used the yellow in the corner and then the lime under the bottom eye lashes. It was so simple and so easy to do. 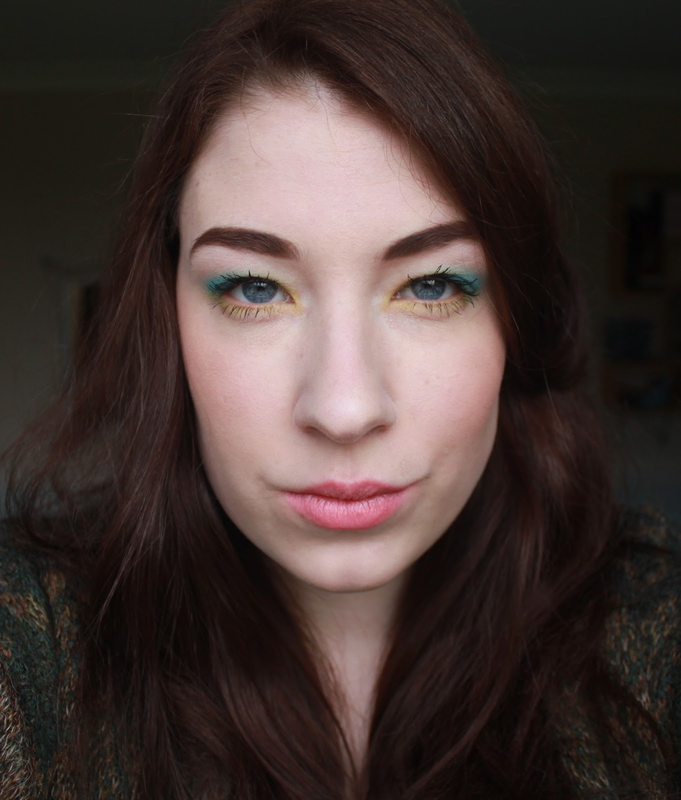 I loved the final look and gave my eyes a subtle, yet bright, spring look. I then used 17's Lipstick in Dreamy dabbed all over my lips. For the rest of the look I used Handwritten Eyeshadow by Mac, BB Foundation from MUA, Cream Soda blusher from Mac and Soap & Glory Mascara. The bottom picture doesn't give the eyeshadow justice as it was so bright I couldn't get a decent photo. But the close up of one eye is pretty accurate. Are you going to brave the brights?